Once the telephone screening has been completed, we will like to book an initial visit with you. This is a meeting that will be completed at your home and conducted by one of our recruitment officers or social workers. The duration of the initial visit can vary, however, the more information you give us, the easier the application process will be. Don’t be nervous, as it is simply an informal conversation just to gather some initial information and to see the suitability of your home to determine if you can proceed further with the assessment. It is the perfect opportunity for you to ask all your questions and to decide whether Fostering with Sunbeam is right for you. It is also a chance for us to tell you all about Sunbeam, the support we offer and the training we deliver throughout your fostering career. 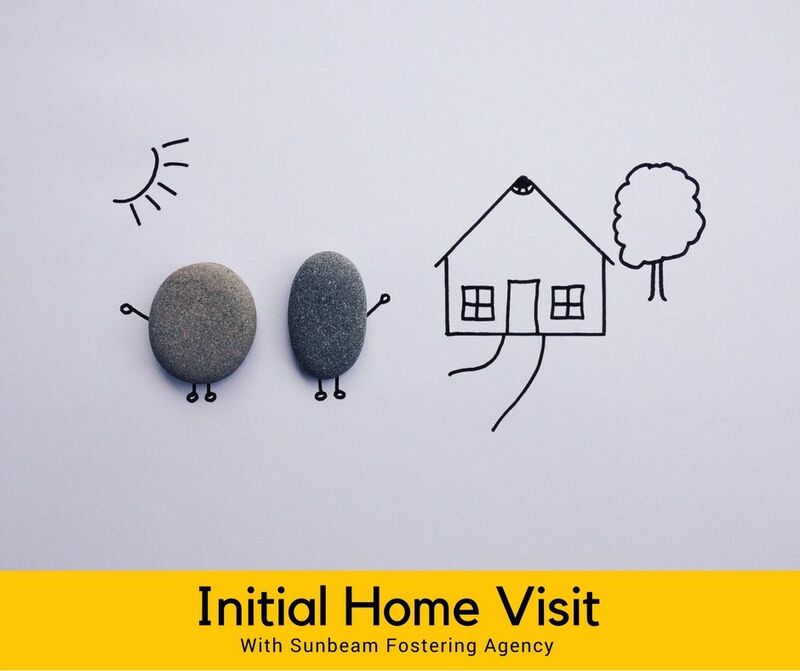 The initial visit is really important for both yourself as an applicant and for Sunbeam. Not only do we want to ask you questions, but we want you to ask us as many questions as you like. We will also need to view your house and the bedroom you propose for fostering. The bedroom should look presentable and ideally no outstanding decorating or refurbishing to be completed. If you do intend to make arrangements for swapping bedrooms around, please discuss this with the family members it will impact directly and make sure it is ok to do so. The spare bedroom can either be a single or double bedroom. If the room is a single, all we ask is that it is big enough for a wardrobe, a desk and additional floor space for other possible belongings. Ask yourself, would you sleep in this room or let your own child have this bedroom in regards to space and furniture. In addition, your home should be presentable and tidy at the time of the visit. It should appear as if you were going to foster a child tomorrow as this gives us a real insight into what your fostering household will look like. It would be great to meet other family members, especially partners and older children who may be a part of your support network. At the time of the initial visit, we will give you some documents to read through and an application form for you to complete. If you feel ready and happy to move forward to Sunbeam, we will be thrilled to receive your completed application. We will then be able to give you a decision on whether you will be proceeding with your Form F assessment. We hope you have more of an understanding of what your initial home visit will involve. However, if you have any questions or would like to enquire to become a foster carer, please contact us on 0208 799 0930.